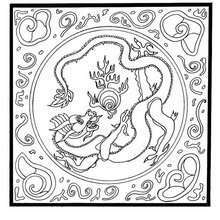 Print out and color this Dragon of World mandala worksheet and decorate your room with your lovely coloring pages from DRAGON mandalas. 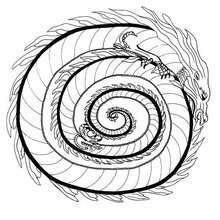 Free DRAGON mandalas available for printing or online coloring. 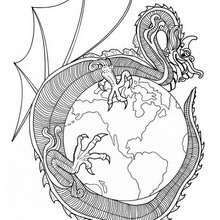 You can print out and color this Dragon of World mandala worksheet or color online.